The Chadian government wants to set up a compensation fund to manage human-wildlife conflicts. This commitment follows a new attack by a wild animal on residents of Ndjamena, the capital. Four of the victims of the panther attack on February 14, 2019 in Ndjamena (Chad’s capital) are still lying on their hospital beds. This time, their injuries were more serious than those of the five previous victims. They were hurt by the claws and fangs of a wandering panther. The feline broke into their neighbourhood in the early morning, in Guinébor, in the first district of the capital, and attacked them, before being shot dead by soldiers. “Nine people were injured in total, five of them slightly injured and four in serious condition. The five slightly injured were discharged from the hospital; the other four are still receiving care. According to the doctors, their condition is not very serious,” said Chadian Minister of Environment, Water and Fisheries Siddick Abdelkérim Haggar, who visited them the day after the incident. 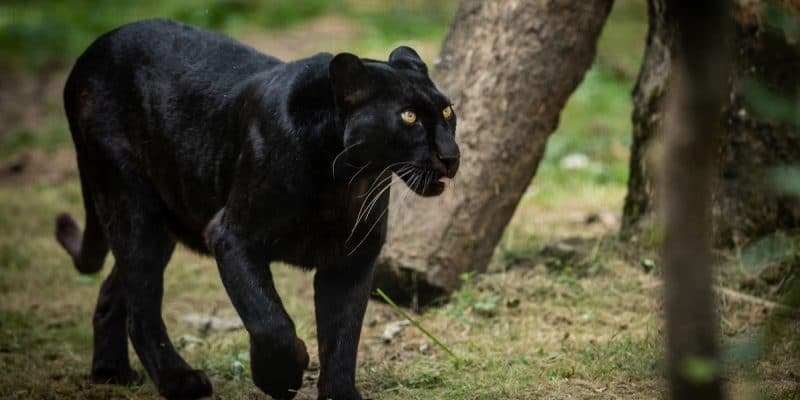 According to him, the animal escaped from the Waza wildlife park in the far north of neighbouring Cameroon, two kilometres away. “This is not the first time that animals have strayed from the park to find themselves on the Chadian side. Elephants regularly cross; there has even been a lion incursion once,” the Minister added. Thus, to best manage such situations related to human-wildlife conflicts, which are very frequent in the region, Siddick Abdelkerim Haggar announced the establishment of a compensation fund to repair the damage caused by this type of incident. In Chad and the Central African sub-region, conflicts between man and wildlife take many forms: the destruction of cultures, attacks on human and animal life, and competition for available natural resources and territories. In 2015, the Human-Wildlife Conflict Monitoring Platform (dubbed CHF in French) recorded, after 5 months of observation, more than 236 notifications. Most of the reported cases come from the DRC (36%), Congo Brazza (28%), Gabon (22%) and Cameroon (9%). The elephant being the animal that ranks first among problem species, with 73% of conflicts involving a wild species. Hence the importance of the compensation fund announced by the Chadian minister. Combined with awareness-raising efforts, these compensations will prevent a popular uprising against animals in protected areas, while ensuring public support for biodiversity conservation. In this spirit, Dr. Guillaume Marchand, of the Environmental Sciences Centre of the Federal University of Amazonas in Brazil, proposes several formulas for compensating populations in the context of human-wildlife conflicts. Ecotourism can play a positive role as long as the economic benefits are directed to the local people. In the same vein, it seems interesting to recruit forest rangers from local populations, as this creates direct jobs and therefore contributes to the local economy. In addition, it raises awareness of the conservation of nature and the species that live there.